Diamond Ducklings (Beginners) is the start of a swimmers journey within Diamond Swim Academy and is aimed at younger swimmers. 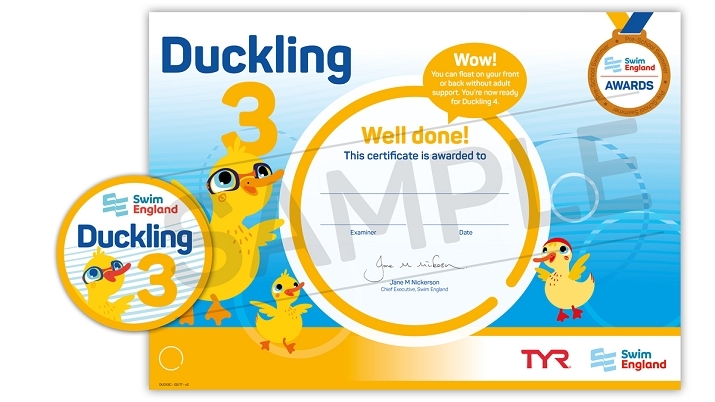 Within Diamond Ducklings all swimmers will work on early water confidence and basic motor skills. Diamond Ducklings will work to achieving a number of outcomes including the Swim England Duckling Awards, which contains grades 1-3. 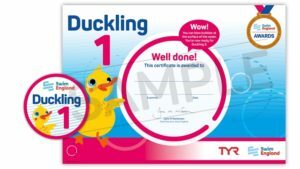 Each award is made up of a badge and certificate. 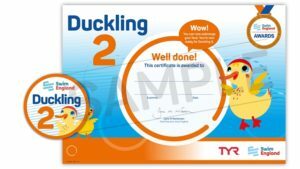 The outcomes of these awards encourage swimmers to begin moving independently whilst providing them with the confidence that the teacher is still within arm’s reach.